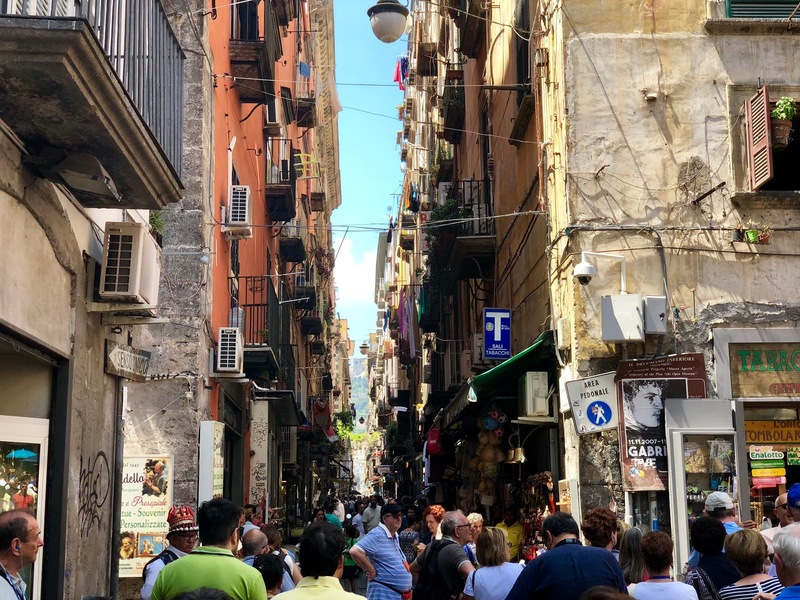 When revealing our Italy itinerary to friends and family before our trip, the news that we’d be beginning our travels in Naples was often met with a muted response. It’s not a city that everyone would immediately think to visit, especially with the likes of Rome, Florence and Venice further North in the country, and the beautiful Amalfi Coast down South. Naples finds itself in the middle, still trying to shrug off a poor image and reputation which often leaves the naive with few thoughts beyond a Neapolitan pizza. However despite only spending a day in one of Italy’s oldest cities, we were certainly enlightened and we’re here to tell you that it’s definitely worth a visit! 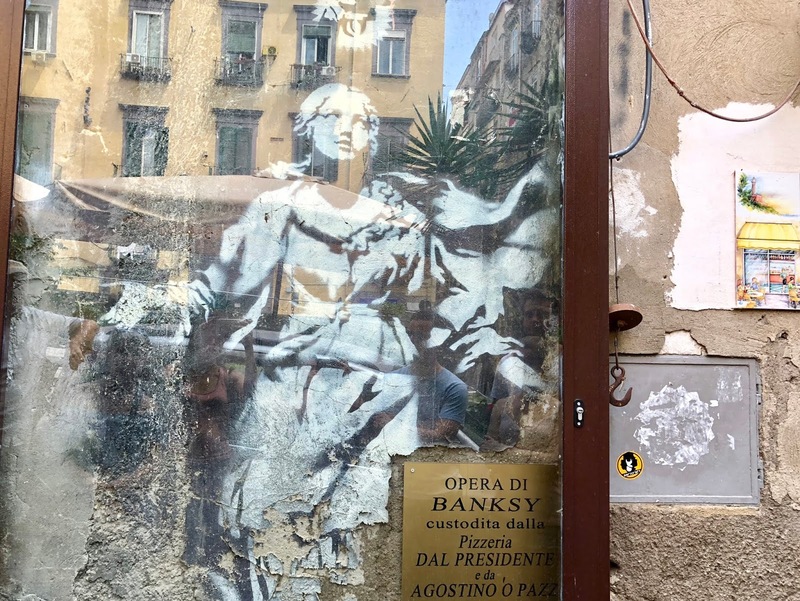 With wanting to cover as much of Naples as possible in such a short time, we embarked on the That’s Amore Free Walking Tour which began shortly after our morning croissant and espresso. Two hours exploring the Old Town of Neapolis and its typically Italian alley ways was a fantastic way to spend the morning. Starting at Piazza Dante and making our way past San Gregorio Armeno (church and monastery), the beautiful Duomo and bustling Piazza San Domenico Maggiore, we learnt the history surrounding the city’s Greek history and the birth of pizza. 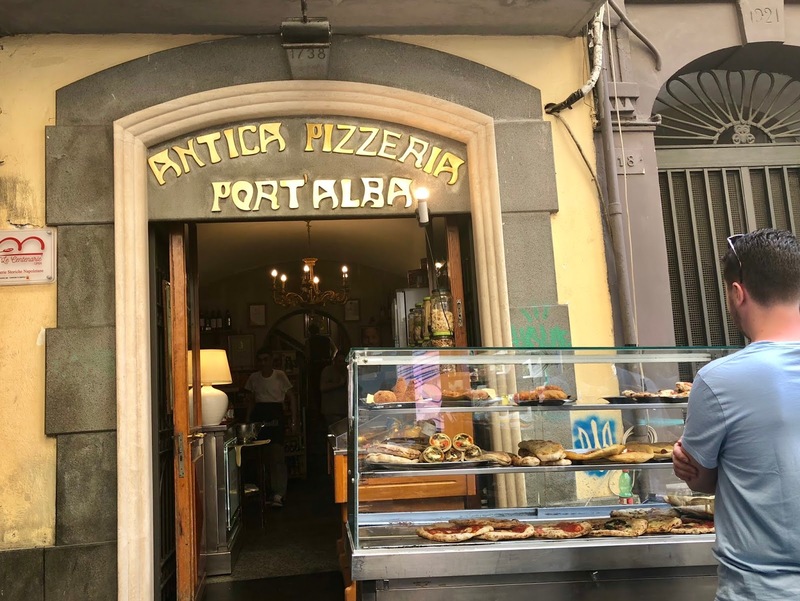 Check out our food blog post to find out what we thought of the oldest pizzeria in the world, and the best pizzeria in the world! Not only did we pick up on tips on where to eat during the walking tour, but also extra things to do around the city centre that would fill the rest of our time here. Taking a rest from the relentless sun, we headed 40 metres and 136 steps underground to explore a completely different side to Naples. 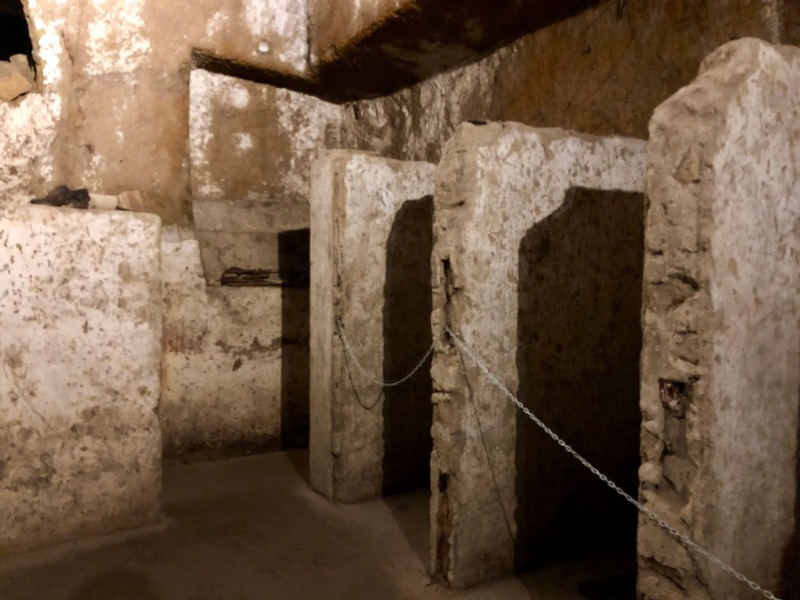 The underground tunnels of Naples gave the entire city of its water supply for 23 centuries, and then it was later used as shelters where people didn’t leave for weeks and months during the Second World War era. It’s an eery and alarming experience despite it being well lit for the most part. One section of the tour leads you down the narrowest of tunnels with a candle each to light the way. The hour long exploration was full of fascinating history and facts and it’s a fantastic way of learning about a side of Naples which many aren’t aware of. 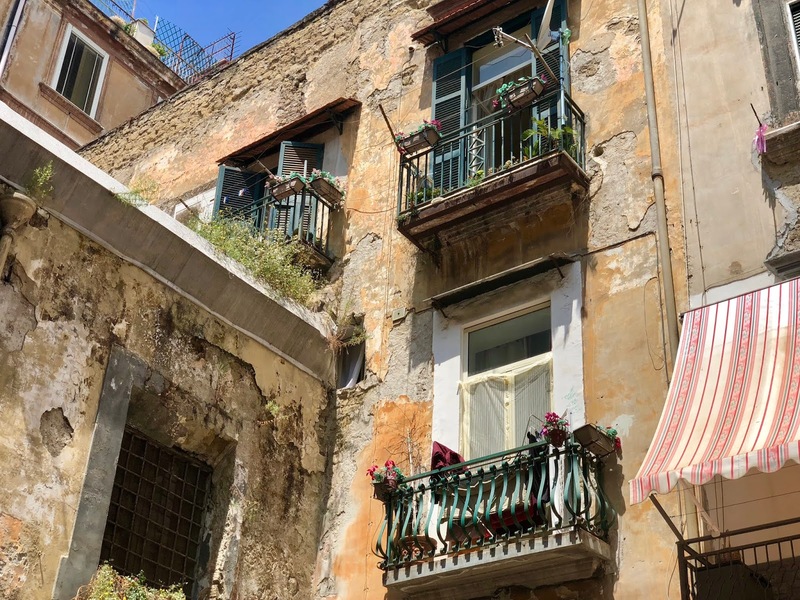 So whilst Naples can easily be covered in a day or two, it is absolutely worth visiting and it is a fantastic place to base yourself if you’re looking to take trips to the likes of Pompeii and Sorrento – as we did. The accommodation is much cheaper here than in the main tourist spots and train links are regular and cheap. We stayed in an Air Bnb just 5 minutes away from Central Station where we could be in Pompei within 40 minutes and Sorrento within an hour. As expected, the pizza will be remembered fondly but so will the overall experience and if you’d like to check out some video footage, the link to our YouTube video is down below. Naples looks so pretty! I love old towns! they are always so nice – and instagrammable! And so much history as well! It is always worth seeing and old italian town are so gorgeous!